Email marketing is dead, right? Younger generations only want to text, right? You've tried email marketing and it failed, right? Email isn’t dead. The fact is, younger generations turn to different platforms for different forms of communication, and the good news is email is included in that mix. In fact, younger generations routinely check work and personal emails throughout the day and prefer business correspondences to come through email. But if your emails are boring, self-aggrandizing or send the same message over and over again (ahem, “book now” “Book Now!” “BOOK NOW!! !”), you’ll find that many of your marketing emails will go unopened at best and you’ll be flagged as a spammer at worst. Here are three tips for reworking your email marketing strategies for cross-generational marketing. 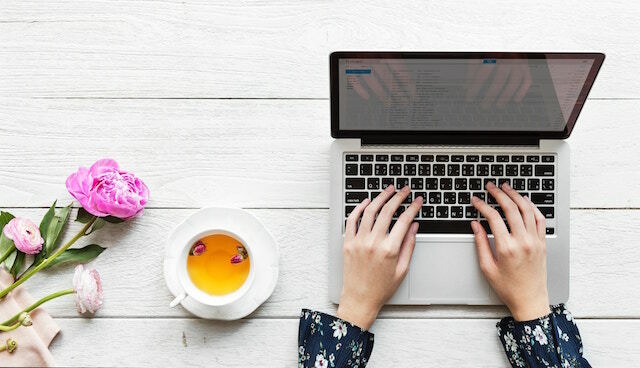 Because email can be so powerful in driving bookings and sales, a primary goal of marketing is capturing email addresses and developing inbox relationships that lead to sales. The trick is to create content that can't be found anywhere else. Younger generations have access to a vast sea of information, which is a simple search away from their phones. They don't actually need more of the same information; they need better information. They need information they cannot find anywhere else on the internet. Sound hard? It’s not. Remember, couples typically get married in a single city or town. To offer something inherently valuable, focus on putting standard advice into a local context or, better yet, offer insider information about your locale. Create a download or a video mini-series or a checklist or any other tool that will help them plan their event. It could be a local in-season food checklist or the top vistas for wedding portraits by season. Whatever you do, break it down to a local level and be generous to build up trust and goodwill. Email is no longer the platform of stiff writing and buttoned-up formalities. It’s not only OK to be fun and show your personality, but it’s also essential for marketing effectively to younger generations. Young clients want to know that you can do the job, but they’re equally interested in making sure your personality will gel with theirs. So go ahead, have fun with emojis (especially in the subject line), get playful with gifs and adopt a more casual and conversational voice. This will not only show off your personality, it can also give prospective clients a glimpse of what it’s like to work with you. Also, forget about just pitching your product or service all the time and instead focus on how they will feel doing business with you and how their situation will be transformed for the better if they follow your advice and work with you. Talk about the benefits clients get when they work with you. Remember, in the beginning, people don't really care about you (yet). They care about their own situation and challenges, as well as their own wishes and desires. By focusing on the needs of potential clients and sending a message that can help them transform their situation, you'll keep their attention and be in a better position to win their business in the future. In the twenty-first century, all marketing must be mobile friendly, including emails. Younger generations are on their phones constantly: checking in on social media, reviewing their email, texting friends, watching the video, and catching up on the news. You name it and it’s probably being consumed on a smartphone. Make sure you optimize your images down to small file size (hint: changing the resolution does not change the file size). And forget what your English teacher taught you in high school. Use short paragraphs that are between one and three sentences. On a mobile device, a full sentence actually looks like an entire paragraph. Related to this, chunk out your information so that it's digestible and scannable on a mobile device. With just a few simple adjustments to your email marketing strategy, you can see great gains in the number of potential clients you book. Comments on "Reworking Your Email Strategies for Cross-Generational Marketing"